First grade represents the first year of growth and improvement in schooling. Counting becomes addition and subtraction. Words become sentences. First-grade kids are introduced to more complicated social topics such as culture and scientific subjects like potential versus kinetic energy. The Learning Library’s first-grader resources are engaging and skills-based to help young students seamlessly transition into the next phase of their education. 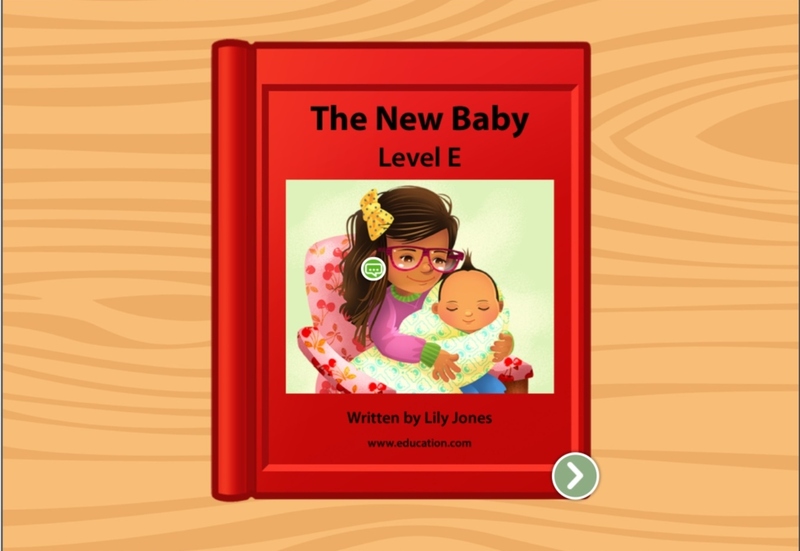 In this leveled book, a girl just can't wait to be a big sister and meet the new member of her family. Kids build vocabulary and read simple sentences in this leveled book about welcoming a new baby sibling. 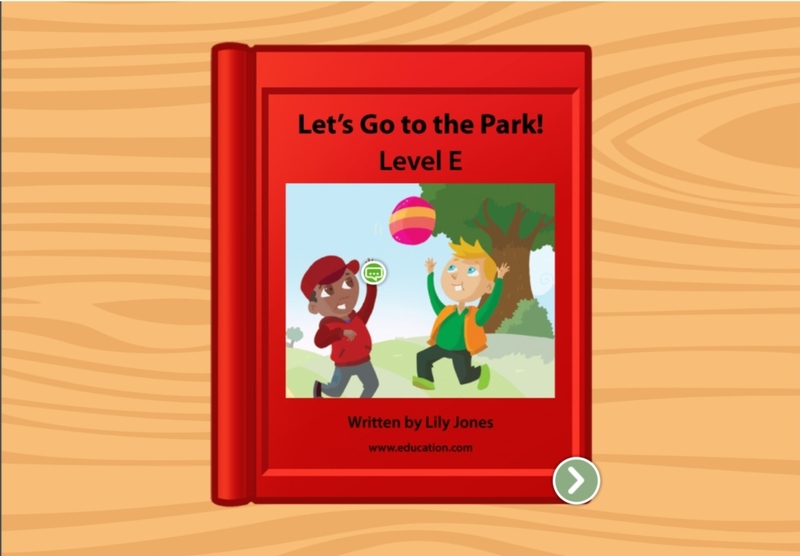 Kids follow the narrator of this leveled book through a day at the park, from snacks to soccer to a game of tag. 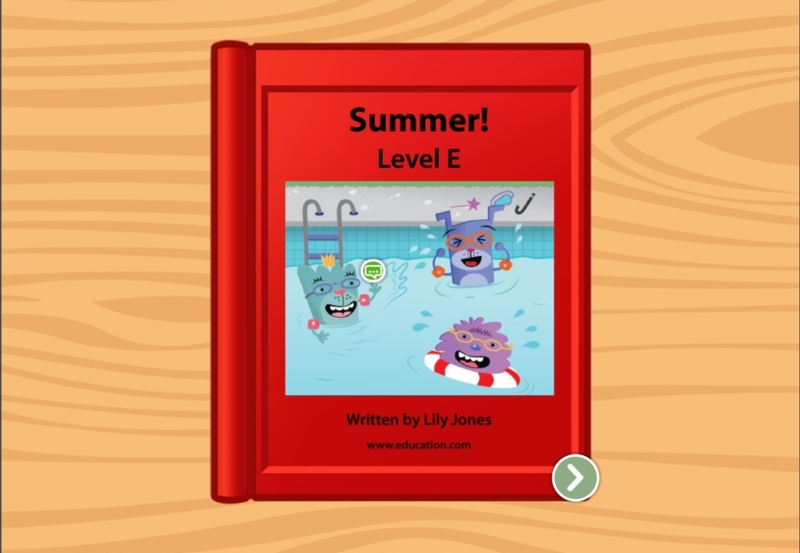 Even if it's fall or spring, you can give your child this leveled book about summer for extra reading practice any time of year. For kids that need a bit of a challenge, this leveled book about summer features multiple sentences per page and more complex vocabulary. 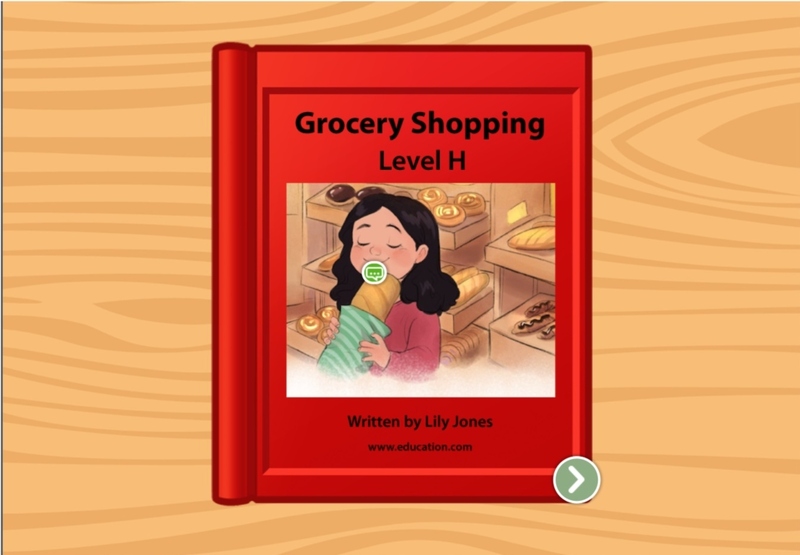 In this leveled book, a girl and her dad head to the grocery store to pick up ingredients for a spaghetti dinner. 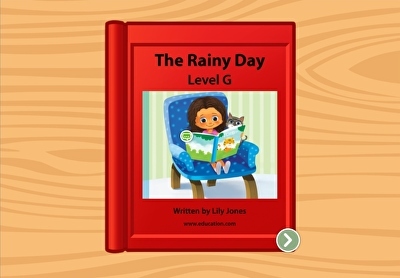 This leveled book uses complex sentences and a variety of vocabulary to challenge readers and build essential skills. 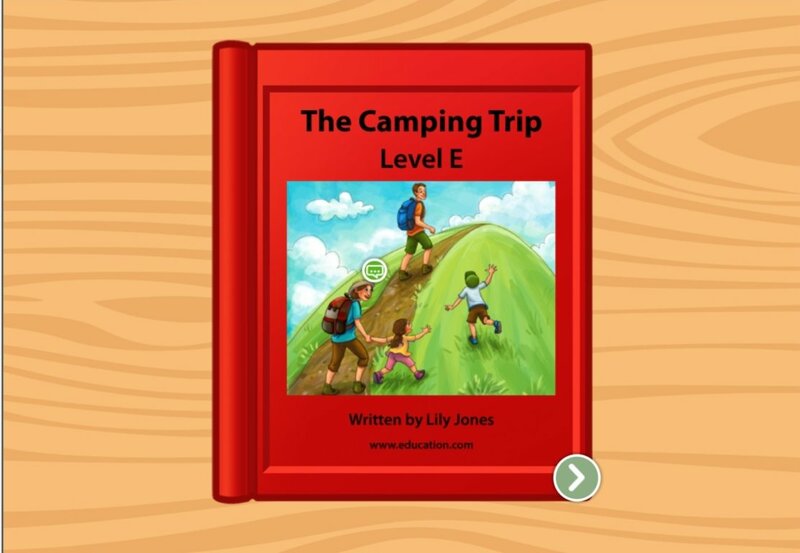 Get your kid ready for their big trip, or just dream of s'mores and scenic views, with this leveled book. 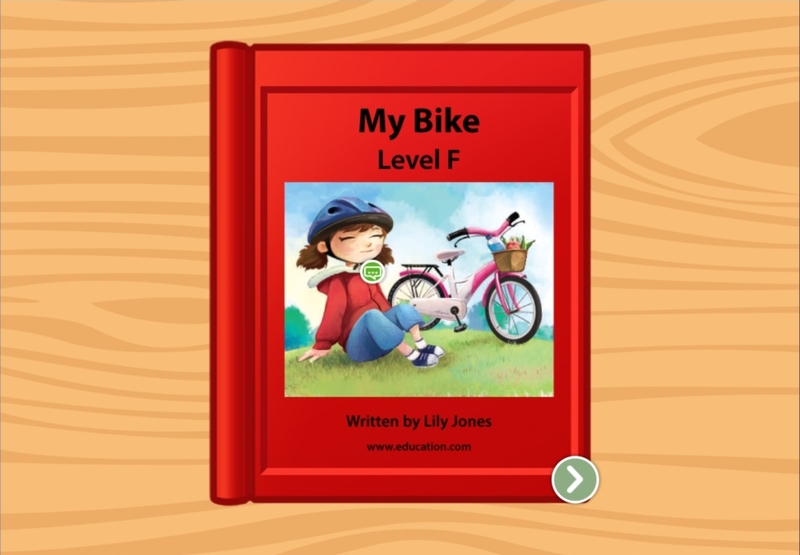 In this leveled book, kids can gather up what they need for a bike ride and then hit the road with new reading skills. If your child is the outdoorsy type, help them on the road to reading with this online activity designed to improve and secure reading skills. 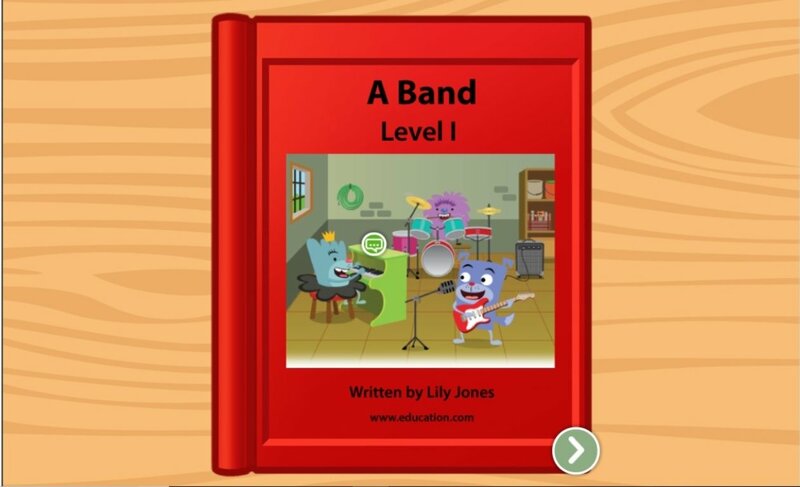 In this interactive story, kids can follow along with the text about that's all about starting a band, and explore more complex vocabulary and sentences. 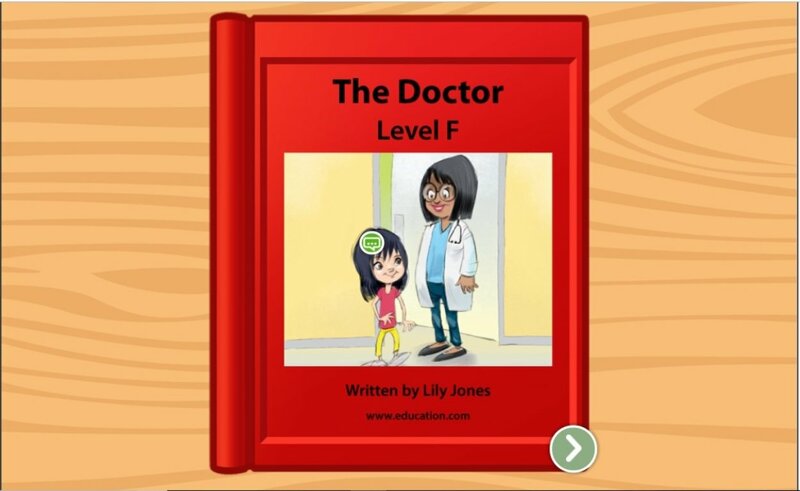 This leveled book about a doctor visit is written and reviewed by education professionals, so it's teacher-approved and age-appropriate too. For kids who are just getting used to reading, here's a leveled book that's sure to whet their appetite. In this leveled book, kids can read about the author's favorite foods, and learn new strategies for reading short stories. And they're off! This leveled book about running is made for kids who are starting their journey to reading success. If your child needs a little extra push with reading, this leveled book about running could be just what they need. 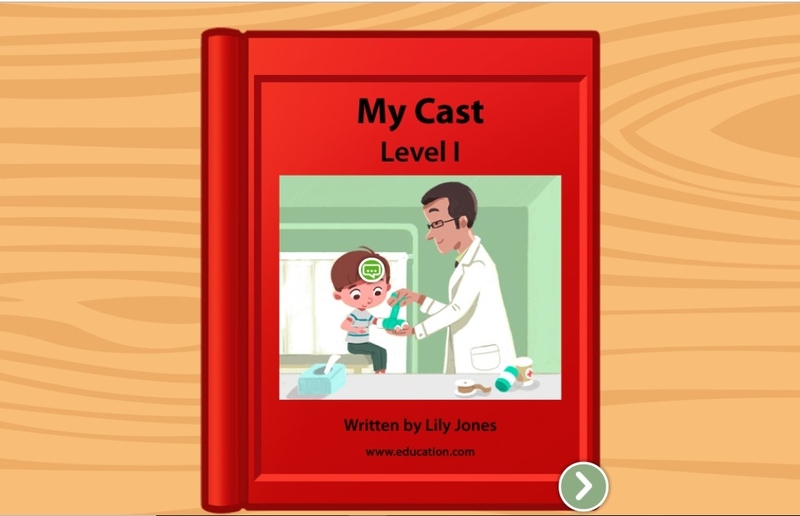 Get to know the many different kids of clouds in this leveled book from the education experts at Education.com. Study the science of clouds in this leveled book for budding readers. In this leveled book, kids can learn about the world's most popular snack and work on some reading skills in the process. Learn all about apples in this leveled book that works on both reading and life science skills at the same time. In this leveled book all about spiders, kids can follow along with the highlighted words and listen to the narration for reading practice. If your child has an affinity for arachnids, this leveled book may be just what they need to get started reading. As small scholars continue to grow in height, their brains grow as well. The Learning Library is an easy-to-navigate source for teachers and parents. The library of resources provides academic yet stimulating guided lessons, lesson plans, hands-on challenges and more that are created by ace educators. First-grade students continue to build a strong educational foundation while being introduced to a wider variety of topics such as map reading and the anatomy of plants. In addition to old-school pen-and-paper school work, first-grade is a time students become more comfortable with computers. While many adults may have never had computer or typing courses in school, today students are introduced to computers and keyboards right off the bat. Games with captivating and colorful illustrations help first-graders learn how to use the spacebar, get familiar with key locations and begin to type words. Learning typing skills at a young age supports accuracy and speed as they grow. Beyond the keyboard and traditional subjects, the resource library offers tools on mindfulness, mindful eating, self-awareness, and other self-improvement methods so kids can absorb more of the world around them and gain resilience and compassion.